Buddha Board is inspired by the Zen idea of living in the moment. Simply paint on the surface with water and your creation will come to life in bold design. As the water slowly evaporates, your art will magically disappear leaving you with a clean slate and a clear mind, ready to create a whole new masterpiece. 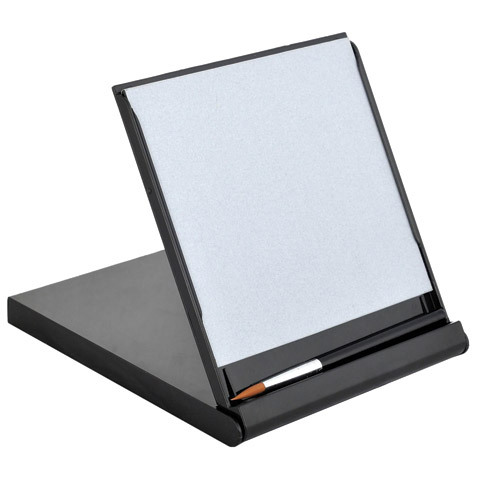 The Mini Buddha Board is an elegantly packaged, 5" square portable buddha board that folds into its own small easel stand. It comes in black, with a small paint brush and has a little trough for water. Enjoy!